Home > More News > Breakfast with Santa! This Saturday 12/01/2018. Join us for Breakfast with Santa event this Saturday, December 1st, 2018! There will be a silent auction, delicious breakfast, and Santa himself will be present to take pictures. Breakfast will be served from 8:00 AM - 10:30 AM. Breakfast tickets sold at the library starting Nov. 1. $5 advance ticket purchase gets you $6 worth of food coupons the day of the event. Buy early to help us adequately purchase food! 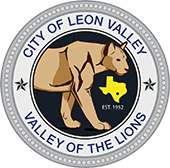 *100% of Silent Auction proceeds go to the Friends of the Leon Valley Public Library to benefit the children at the Library. Bring checkbooks and cash (sorry, no cards) and do your Holiday Shopping!